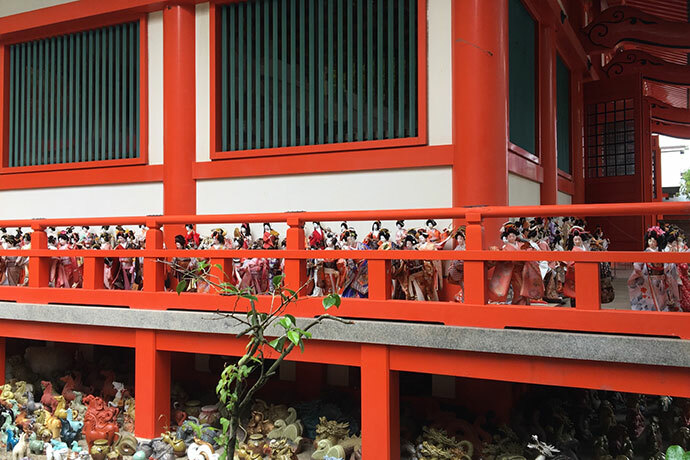 This shrine was established back in 800s. 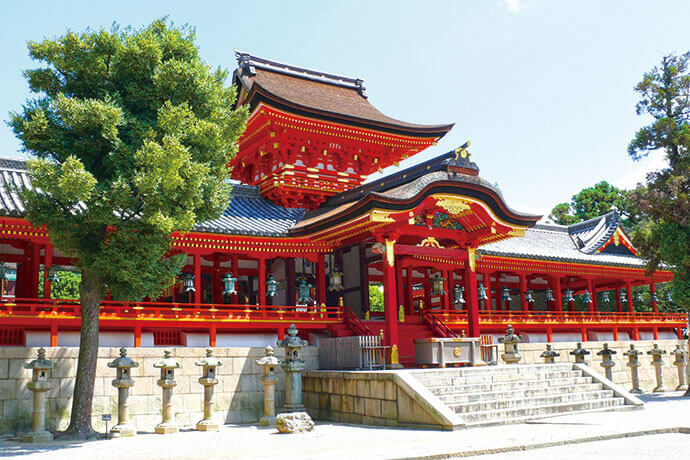 The main shrine was designated as a national treasure in Feb, 2016. It is known as a god that protects you, and popular among visitors all year. Change at Yawatashi station of Keihan Railway and change to Otokoyama cable. 5min. on foot from Otokoyama-sanjo station. 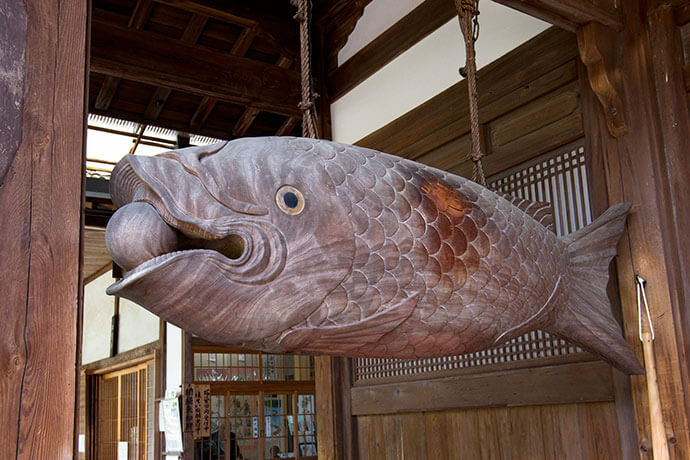 A museum on the riverside of Uji river. 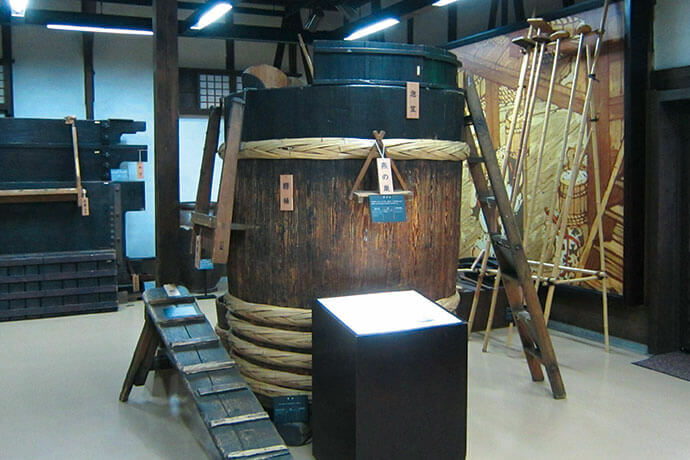 History of sake making in Fushimi and tools to make sake is exhibited here. 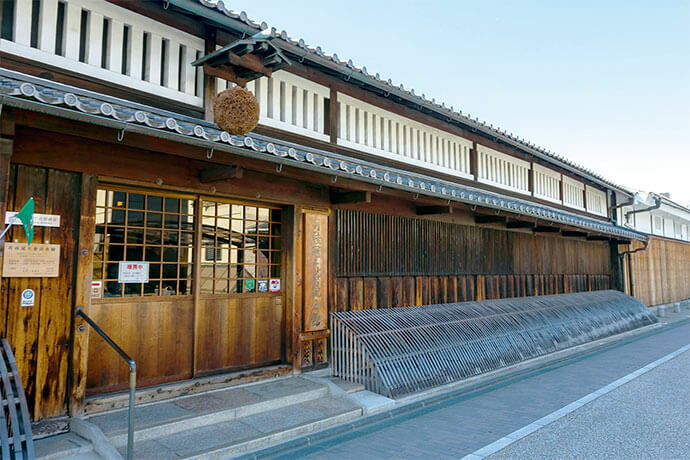 After taking a look in the museum, please taste varieties of delicious sake. There also is a souvenir shops, and you can get sake as a souvenir of your journey. 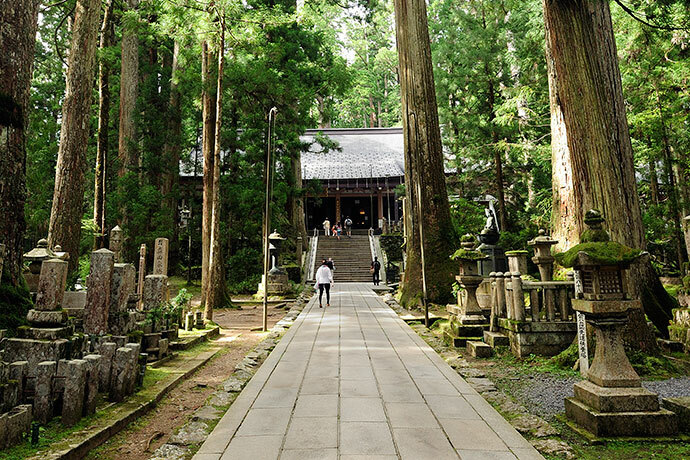 A temple founded by the monk from China, Ingen. Ingen introduced not just China's Buddhism, but also beans, watermelons and bamboo shoots. You can enjoy Chinese vegetarian food here as well, and it is very delicious. 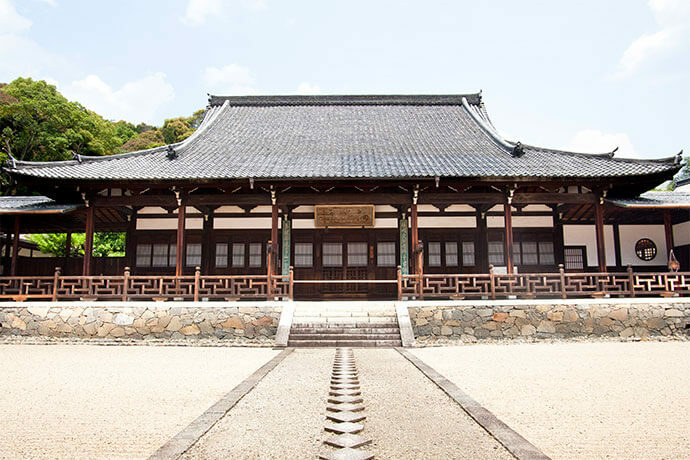 A board hung up inside the temple is a type of a clock, showing the time by hitting it. It is still used now. 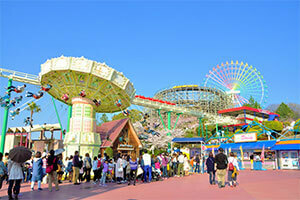 Popular amusement park with a history of over 100 years. 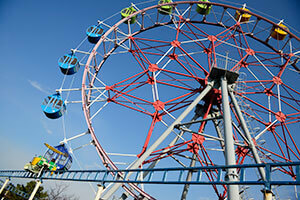 Very popular amusement park among Kansai area. 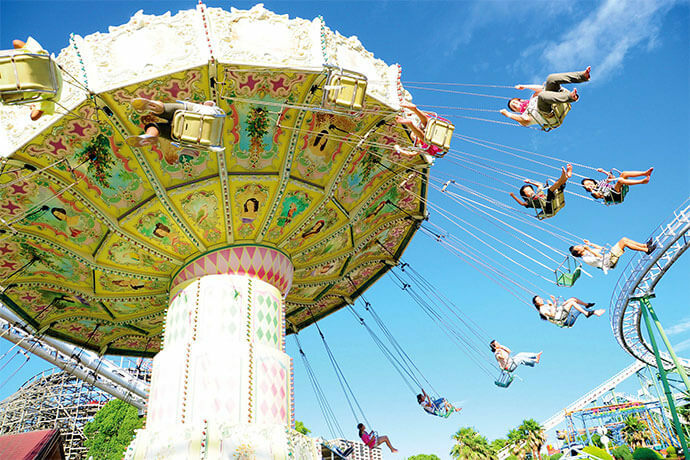 Not just 40 attractions, there is a flower garden, a zoo and many fun events and character shows. Enjoy cherry blossoms in the spring, swimming in the summer, Helloween in the autumn and ice skating in the winter!! 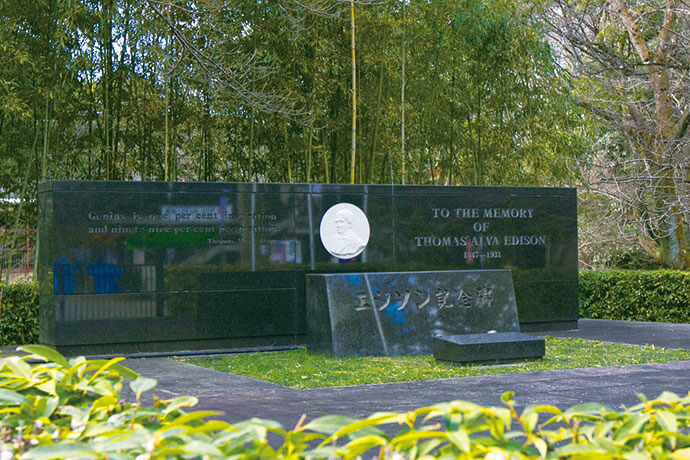 You can enjoy Hirakata Park all year in different ways. 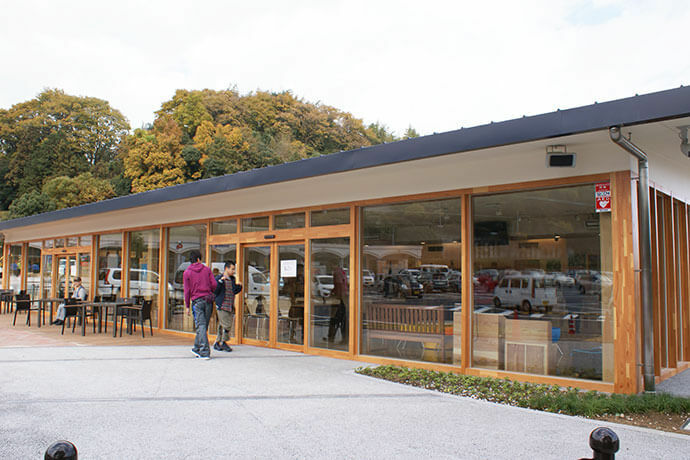 A shop selling fresh fruits and vegetables and the restaurant is very popular among visitors! You can rent a bike as well! 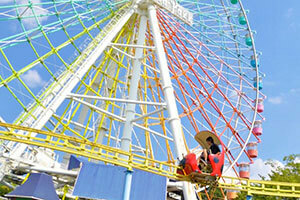 You can enjoy an amusement park and a zoo at the same time!! 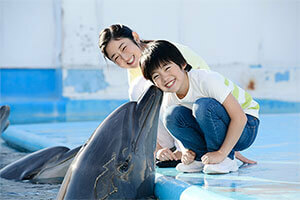 Dolphin show is also very popular. 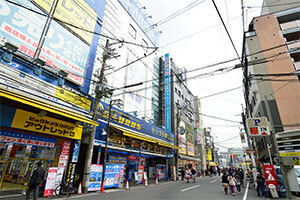 Many shops with comics and anime are creating a street. 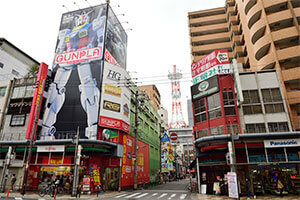 Osaka's "Otaku" culture is all here. 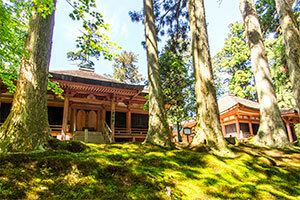 Sacred spot in Koyasan. Cedar trees and over two hundred thousand tombstones are lined up. The god enshrined here is the god of medicine, and women's guardian. It is believed by women since ancient times. Feel the biggest lake in Japan. "Michigan" is a cruise ship running the southern part of Biwako. Inside the ship, fun music is played and many events are held. You can even enjoy food! 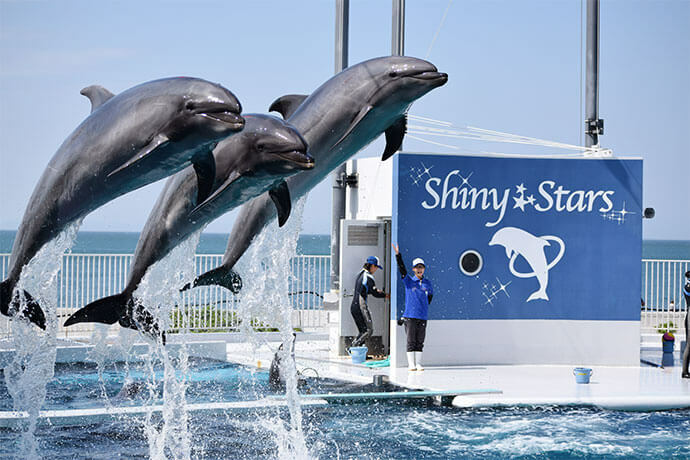 Michigan has 4 floors, and from the sky deck located on the top floor, you can enjoy the view of Biwako in 360 degrees angle. There is a photo spot for couples as well! 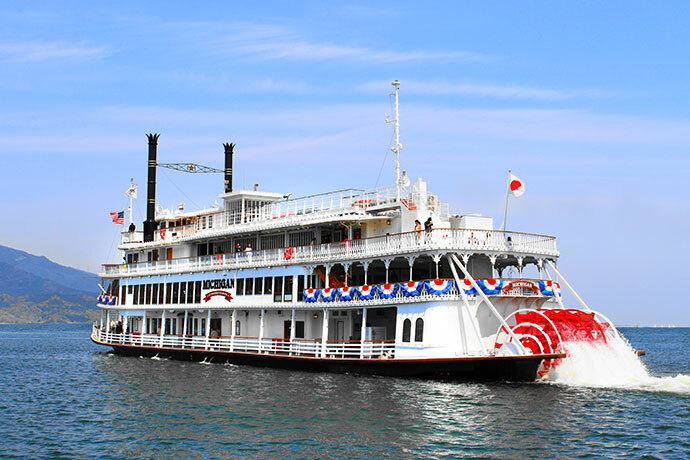 Departs at 10:00, 11:40, 13:30, 15:10 (4 times a day from Otsu port. 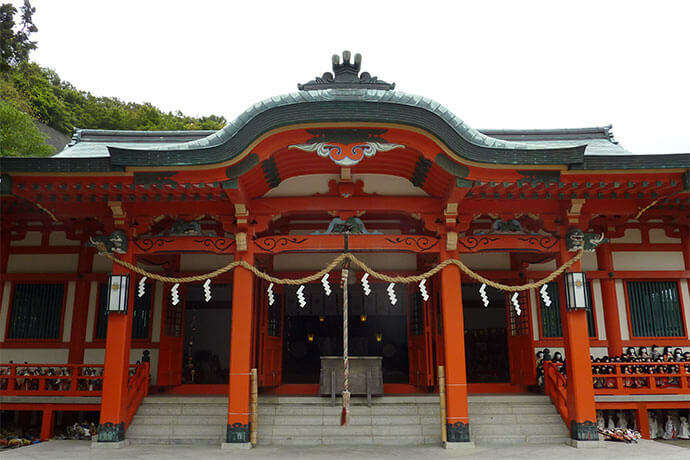 A temple located on Hieizan, and was founded by the monk Saicho back in 788. 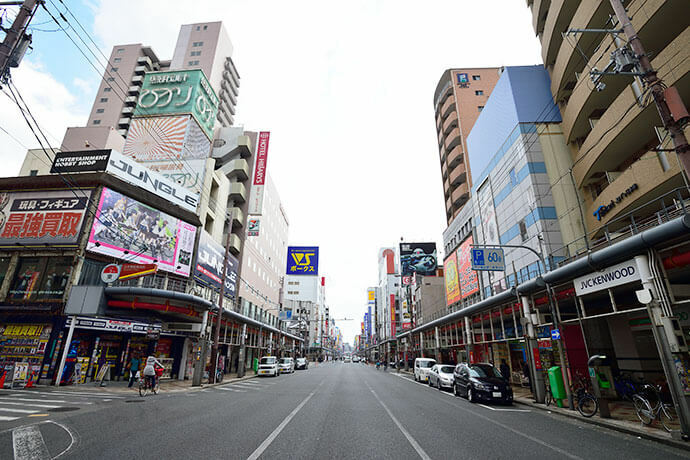 There are 3 different areas called, Todo, Saito and Yokawa. 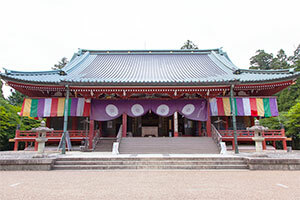 Todo is the central part of Enryakuji and the national treasure "Konpon Chudo" is located here. 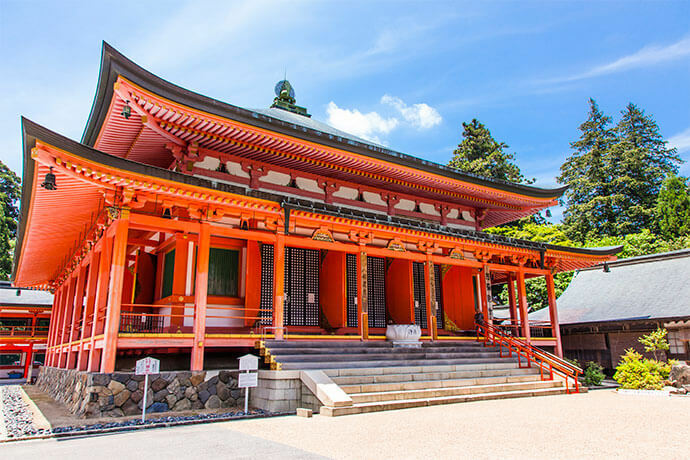 In Konpon Chudo, there is a candle that has been lit for 1,200 years. It has been designated as a world heritage since 1994. You can do writing and praying experience as well. Take cable car from Yase-Hieizanguchi station of Eizan Railway, and take shuttle bus from Hieizancho, get off at Enryakuji Bus Center bus stop. 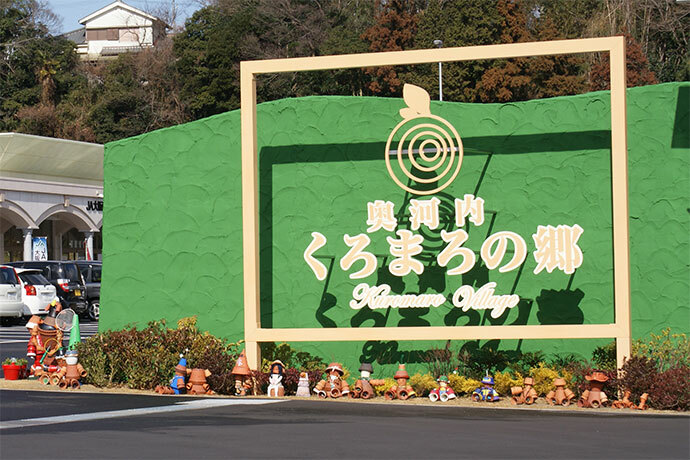 Take a bus from Demachiyanagi station or Sanjo station, and get off at Enryakuji Bus Center bus stop.